Enter your info in the form below to stay on top of recent news in the ED community, volunteer information, opportunities for action, recovery support, and more! The Joy Project is a 501(c)3 non-profit, grassroots organization based on the philosophy of using real-world, workable solutions to end the epidemic of eating disorders. We work towards reducing the rate and severity of eating disorders by supporting and conducting research, education, and support programs. CHANGE YOUR PACE AND HELP THE JOY PROJECT FIGHT EATING DISORDERS! Join the Joy Project in challenging social pressures and living in the moment! Walk, don’t run, in our unique 5k event. We invite you to listen to your body, stop and smell the roses, and chat with friends as you walk or skip, rather than compete for the fastest time. Eating disorders thrive in a culture that prizes appearance, productivity, and material wealth over health and wellbeing. Join the Joy Project in a celebration of individuality and empowerment, as we throw aside external pressures and strut our stuff in whatever way we prefer! While we won’t be timing you, we will be giving PRIZES to the highest fund raisers and best costumes! Dress as your own challenge to the breakneck pace and unrealistic standards set by the media and societal pressure- for example, you could dress as a broken scale or someone who came in 25th place (One of our staffers plans to run the entire distance backwards!). Or, come as you are- costumes are entirely optional. Eating disorders thrive in a culture that prizes appearance, productivity, and material wealth over health and wellbeing. Join the Joy Project in a celebration of individuality and empowerment, as we throw aside external pressures and strut our stuff in whatever way we prefer! 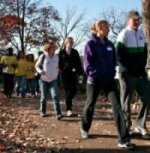 Walk, don’t run, in our unique 5k event. We invite you to listen to your body, stop and smell the roses, chat with friends, and enjoy the moment as you walk or skip, rather than compete for the fastest time. If you prefer to mail in your registration, print out the Mail-In Registration Form, fill it out, and mail it in. You may also register at the event for $25. Dress as your own challenge to the breakneck pace and unrealistic standards set by the media and societal pressure (for example, you could dress as a broken scale or someone who came in 25th place). Or come as you are, costumes are entirely optional. YOU can help us broaden and deepen the impact of the Joy Project by joining our walk and actively raising money on our behalf. You can easily set up your own personalized Change Your Pace page after registering online. With this page, send a personalized email to your family, friends, and co-workers to invite them to support you, and set and keep track of your goals! You can also set up team fundraising pages! We are making it possible to participate in the Change Your Pace 5k Walk/Run event on October 8th, 2011 from a remote location. You are welcome to register online. You will still be eligible for PRIZES! Fundraising prizes work the same way, regardless of location. To enter the costume contest, just send us a picture of you walking with your costume prior to October 6th, 2011. 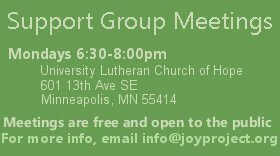 If you have any questions feel free to email info@joyproject.org. Photos from our Change Your Pace 5k Walk/Run, October 16th, 2010! What a fun and inspiring day! Great weather, an enthusiastic crowd, and lots of inspiration all around! View even more pictures on our Facebook page! One of our most important missions at the Joy Project is to assist those who suffer from eating disorders in getting their voices heard. As some of you may know, the American Psychiatric Association (APA) is currently in the process of reconsidering the diagnostic criteria for eating disorders, which will be published in the Diagnostic and Statistical Manual for Mental Disorders- V in 2012. We believe that a crucial part of this process is consideration of the negative impact that the current criteria may have from the perspective of the patients themselves. We had asked people to share with us their concerns and suggestions regarding the DSM criteria, and how changes to the criteria might affect them. The response was amazing! We collected nearly 4,000 signatures on our online petition, and hundreds more signatures on paper and via other websites. We received numerous letters about personal experiences of how the current diagnostic criteria affected people in terms of insurance coverage, treatment-seeking, and playing into ED-thinking. We delivered stacks of comments, signatures, study info, and personal appeals to members of the DSM Eating Disorder Criteria Revision Committee. Thanks to all who participated! We'll be monitoring the progress of the DSM committees, and hope to see some positive changes! On September 10, 2009, The Joy Project hosted a very special event! Our moderated panel discussion brought together eating disorder Survivors, Researchers, and Treatment Providers, for a mutual exchange of ideas, observations, and experiences. Among the panelists were authors Jocelyn Golden and Shannon Cutts, Binge Eating Disorder Association Director Chevese Turner, FREED Foundation and EDC Policy Director Kathleen MacDonald, and members of our own support groups. This collaborative dialogue brought together stakeholders on all sides of the process to speak freely about the state of eating disorders treatment, and forged new partnerships to strengthen the fight against eating disorders. You Are Not Alone- Volume 2 is a collection of stories of recovery and hope, compiled by Andrea Roe with Shannon Cutts. Included in this book is the Founder of The Joy Project's own personal story of recovery. This book is available through Amazon.com, and all profits from sales will be donated to The Joy Project and MentorCONNECT. MentorCONNECT is an organization, founded by Shannon Cutts, that matches people in recovery with a recovered 'mentor'. This is an amazing book, and every purchase helps to support the development of resources for people in recovery. The Substance Abuse and Mental Health Services Administration (SAMHSA) Center for Mental Health Services, Office of Consumer Affairs, in conjunction with the National Institutes of Health, has invited The Joy Project to participate in its "Food For Thought" series. The purpose of the series is to provide information on issues faced by consumers of various mental health services, in order to provoke discussion, increase understanding, and outline paths for future change. The Joy Project will be representing consumers of Eating Disorders treatment services this December at a presentation at the SAMHSA offices in Rockville, MD. Best-selling author, advice columnist and self-esteem expert Jessica Weiner has honored The Joy Project and Andrea Roe (Author of You are Not Alone) as Actionists of the Month on jessicaweiner.com This honor is given to individuals and organizations who have led by example and inspired others to take action to make the world a better place. Leslie Murray, MD, MPH, has a wide variety of personal and professional experience in the field of eating disorders. She is a fellow in Child and Adolescent Psychiatry at the University of Iowa, and her special area of interest is eating disorders in minority populations. Renee Worke, JD is a district judge on the Minnesota Court of Appeals. Along with her tremendous professional achievements, she is also active in various community organizations and advisory boards. Tracey Sullivan, J.D. has been involved with various activities and non-profit organizations, including public school mentoring projects, tutoring reading and language arts to children and adults, senior community outreach programs, and coaching self-improvement skills to clients served by a battered women's shelter. Executive Director Joy Nollenberg was the recipient of WCCO Radio's "Good Neighbor Award" on November 2, 2007. The Good Neighbor Award is awarded to individuals who have dedicated a significant amount of time and effort to the greater good through volunteering. Congrats, Joy! * Add Our Eating Disorder Awareness Banners to your personal website or myspace profile! The Joy Project's Director is 'Inspiring Woman of the Month' on Eating-Disorder-Information.com! Our trip to Washington, DC was a success !!! 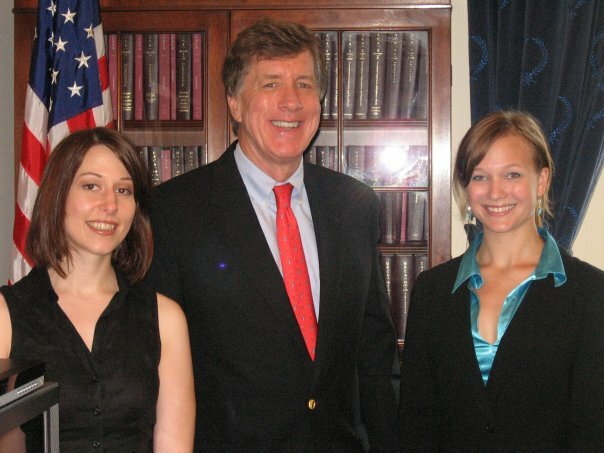 We met with Congressman Jim Ramstad (representing our home state of Minnesota), who is leading the battle, along with Patrick Kennedy, to get Mental Health Parity laws passed in every state. He had a great recovery story of his own, and we will be staying in contact as we work together towards better access to treatment as well as better quality of treatment programs. We attended the Mental Health America National Conference, where we were able to attend workshops aimed at organizations working to reduce stigma and increase treatment possibilities for those affected by mental health issues. We met members of other organizations that we plan to collaborate with in the future. The Joy Project's Assistant Director, Serena Iacono, was honored with an mPower Youth award at the closing dinner ceremony. We were also invited to participate in focus groups with Mental Health America, and had the opportunity to socialize with some amazing people that were fellow award winners at the conference. We are so thankful to Mental Health America and mPower for sponsoring the trip and making the week exciting and productive for us. We are also grateful to Congressman Ramstad and his assistants for meeting with us and for his willingness to continue working with us in the future. Thanks also to the many wonderful people who also attended the conference, and who continue to work towards our shared goal of better mental health care for all who need it! We're Heading to Washington, DC !!! Serena Iacono and The Joy Project's Executive Director, Joy Nollenberg, will receive a free trip to the MHA National Conference on June 6-9th, 2007, where Serena will be presented with the award. During their trip, both will have a chance to speak with legislators on Capitol Hill. info or to purchase a bracelet. Thank you to everyone who participated in National Eating Disorders Awareness Week activities! Despite the huge snowstorm that shut down everything for a day or two, the week was a success! A big THANK YOU to Serena Iacono for coordinating NEDAW, and thank you as well to Francesca Heir, Olivia Tise, Justin Novak, Allie Michelson, Lauren Eriksson, Heather Dombrovski, Angela Fugleberg, Ilyssa Siegel, and Angela Studt for lending a hand and helping to support the cause! We appreciate it! FM107 is a radio station in the Twin Cities area. The Get Real Girls airs every Saturday morning from 8-10am on that station. Every week, the nominate one person from the community to be their 'Get Real Girl of the Week'. They have chosen The Joy Project's Director, Joy Nollenberg, as a weekly Get Real Girl! Joy was interviewed via telephone during the show on Saturday, February 24th. Check out the article that Lori Henry wrote about The Joy Project for her column: Intro and Article Lori Henry is the author of Silent Screams, among other popular works.